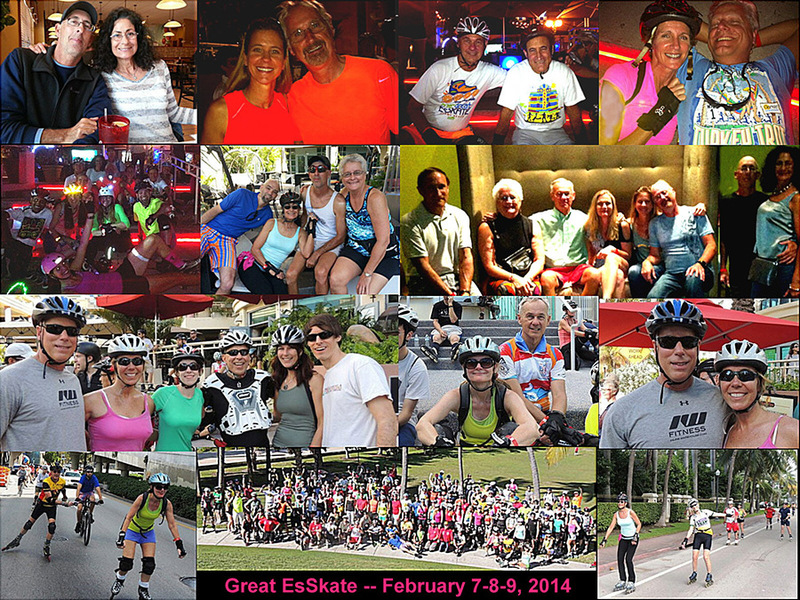 The 2014 Great EsSkate was another fun and social time in South Beach/Miami. The weather was in the 70s and 80s which seemed almost hot. Gene Cook and his helpers did another fantastic job keeping things running smoothly as possible. The Richmond Hotel was very nice and had a big Hot Tub and Swimming Pool. Janice H came and didn't skate but gave a helping hand to all. On Friday they had a nice Happy Hour from 4 to 6 PM where drinks were half price and they had free appetizers. The evening skate afterwards went smoothly. The skate Saturday morning was 26 miles with no high bridges. All enjoyed that. The picnic after the skate had very good food. In the evening, our group did Delano’s for drinks and Sushi Siam’s for dinner. All in all, every one had a wonderful time.